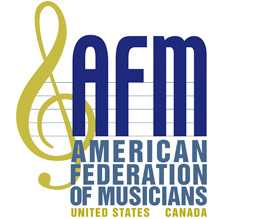 Protecting the intellectual property rights of creative artists has long been a primary mission of the AFM. The Republican-led Congress and administration have now embarked on a debate over another feature piece of legislation promised during the 2016 campaign: tax reform. This article focuses on health care issues currently being considered by Congress and the Trump Administration. This is a source for information relating to federal grant making, performance, education, and research opportunities for musicians interested in project funding and international travel as artistic representatives of the US. The following timeline provides a sense of Senate action, along with a glimpse at the procedural difficulty encountered after the seven-year attempt to totally eliminate the ACA. Once the process began in earnest, principal concerns came from Republicans who believed that the new health care bill should include provisions 1) to provide coverage for people with pre-existing conditions, 2) for those with employer-based health insurance, and 3) for cuts to Planned Parenthood. Republicans are looking to complete the repeal and replacement of the Affordable Care Act (ACA), or Obamacare. The new legislation, which passed the House May 4 by a vote of 217 to 213 (with 20 Republicans and all Democrats voting against it), is now under consideration in the Senate. In March, the AFM joined with more than 700 members of the labor and nonprofit communities to participate in the largest advocacy meeting of the year. Sponsored by Americans for the Arts, Arts Advocacy Day has become a national benchmark for the arts community. If ever there was a time for workers, including musicians, to get engaged in the movement to protect jobs and benefits that promote healthy, secure workplaces and families, now is the time.